I’ve been working on a project called the ‘Quidnon’ for over a year now, with Dmitry Orlov and another engineer. 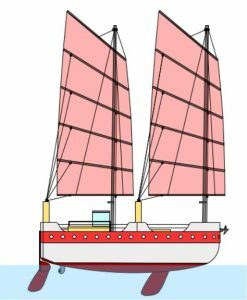 The project goal is to build a ‘houseboat that sails’, which has the potential for doing a lot of good in the world, especially in places that have high costs of living, and that can be affected by sea level rise. Check it out at quidnon.blogspot.com; there is also an Indiegogo campaign underway to help us build the first prototype.